At Sovereign Cycle we strive to be the best period. 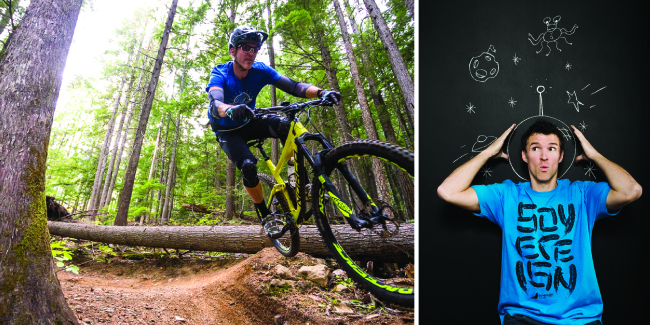 We know our gear, bikes and suspension inside and out, the attention to detail in our shop is second to none and our end goal is to leave you with the best in-shop and on-bike experience possible. That’s why we only hire the best, most experienced people available. Have a question for the guys? Give us a call: 778 754 5678 or click here for our location and hours. Rich hails from the South Island of New Zealand - although you’d never know it from the lack of accent and yes he’s a bike/fitness nut. When he’s not riding bikes you’ll probably find him on the beach playing volleyball or hanging with his four legged bud Abby. 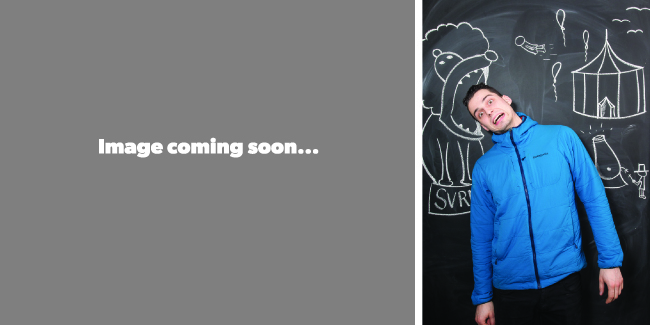 Rich has an infectious excitement for bikes and getting you set up with the right bike/gear gets him fired up! You’ll know what I’m talking about when you experience it. 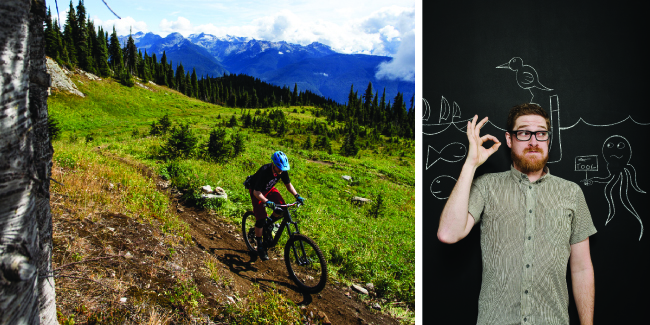 Russ grew up mountain biking on Vancouver Island and has spent his life since searching Western Canada and abroad for the perfect trail. 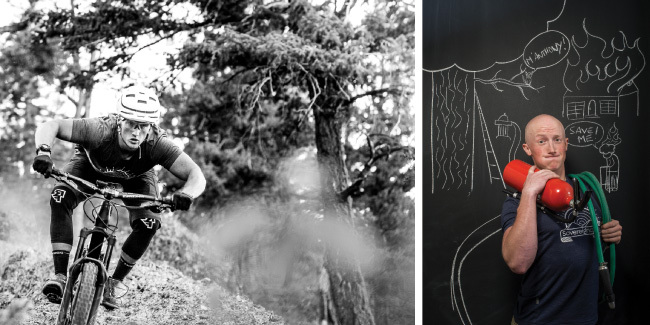 When he’s not selling, organizing the shop or memorizing parts catalogues you’ll find him out hunting for time on Strava, clearing local trails with his furry friend Finn or sweating it out at his favorite Crossfit gym. Russ is also a director/volunteer for the West Kelowna Trail Crew Society - have you got your membership?! Lucas came to Sovereign via Strathmore, Alberta and he’s a bike guy through and through. 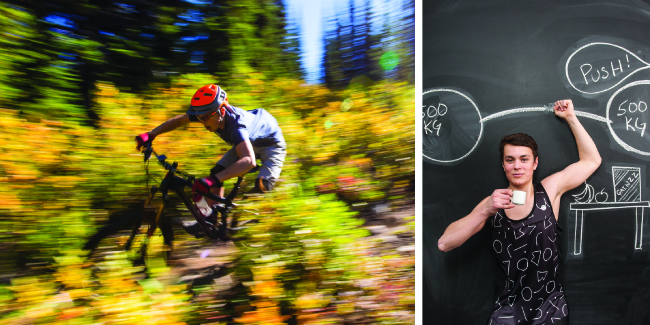 If you’re looking for an expert on bike fit and set-up, he’s your man - as a grad of the United Bicycle Institute frame building course in Ashland, Oregon, you can be sure of that. Lucas is also a graduate of the UBI bicycle maintenance course. You’ll know him the second you walk in the door either by his devious smile, infectious laugh, his sense of humor that often "takes it too far" or his ginger beard. 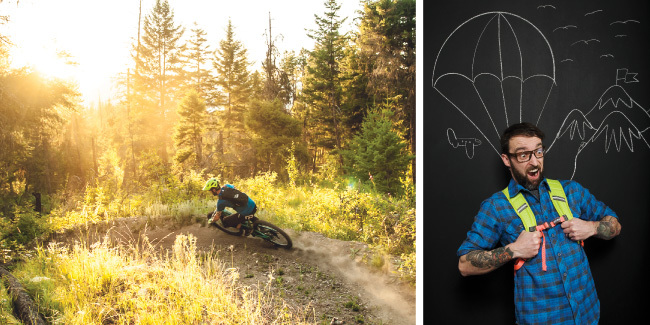 A West-side local, Anthony grew up in Peachland and naturally gravitated toward punishing himself with an Ironman or 4 - before he discovered DH racing. Our resident safety officer and firefighter extraordinaire, he's the first one to offer mouth to mouth when there's an emergency. We're pretty stoked for this guy as Anthony fulfilled his lifetime goal in 2018 to race a UCI World Cup - in Croatia! If you wanna catch him in action a little closer to home though, you can cheer him on at BC Cup DH races all summer long. Spencer is another local boy - not born in the Okanagan but he’s spent most of his life here. Spencer spent some time in Vancouver where he honed his suspension rebuilding/tuning skills at Western Canada’s finest Rock Shox service center. If you’re looking for a perfect Reverb overhaul or a custom tune on your rear shock - Spencer is your guy. Spencer once won a pair of skis in a competitive eating contest and has been known to eat up to 5 foot long subs… You’d never know it to look at him though. Lets just say he rides his bike A LOT! Dylan is the most grown up shop grom you’ve ever met. He’s a West Kelowna boy through and through - if there’s another person that’s ridden the trails at Smith Creek more than him - we’d be shocked! Want proof? Check his Strava profile KOM’s and all. When you visit Sovereign, you can be guaranteed that he’ll give you an honest opinion on just about anything, but remember that even though he’s younger than you, he probably knows more than you (about bikes). Feel free to give him advice about girls though. All photography provided by Grant Robinson Photography.